Des Plaines police and firefighter/paramedics responded about 10:30 a.m. Thursday June 1, 2017 to a report of a stabbing at a home in the block of 600 Beau Drive near Kathleen Drive. The body of Jeffrey Ziolo and a sleeping homicide suspect were found later in the morning by another person that was in the house, following the early morning murder. Another person in the house called police, and the homicide suspect, Craig Grzesiakowski, was arrested at the home Thursday morning, and transported to a local hospital. At the hospital, Craig Grzesiakowski told staff that he and Ziolo had been friends since third grade, according to Cook County Prosecutor Julian Crozier. Grzesiakowski said they argued at Ziolo’s house, and said that he pushed Ziolo over a table, then stabbed him, according to Crozier. The Cook County medical examiner’s office determined Ziolo’s cause of death was blunt-force trauma, in addition to three stab wounds, according to Cook County Prosecutor Julian Crozier. 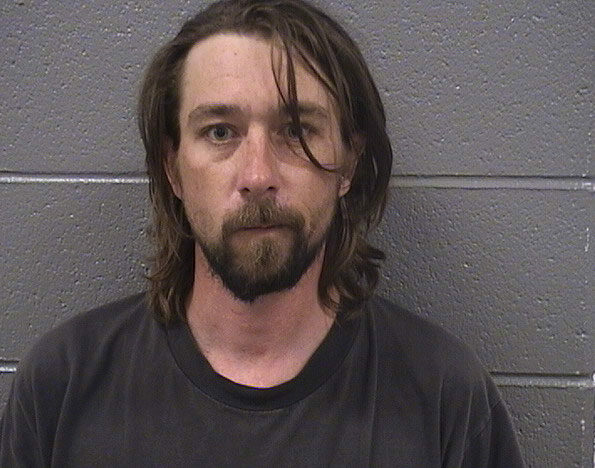 First-degree murder charges have been filed against Craig Grzesiakowski, age 35, of Chicago in the stabbing death of Jeffrey Ziolo, 35, in his Des Plaines home. Grzesiakowski, 6’0″ 185 LBS, is also accused of taking the victim’s cellphone in an effort to prevent access to a home security video, and has also been charged with robbery. Grzesiakowski was being held at Cook County Jail Division 8 at 2600 South California Avenue in Chicago on $2 million bond.